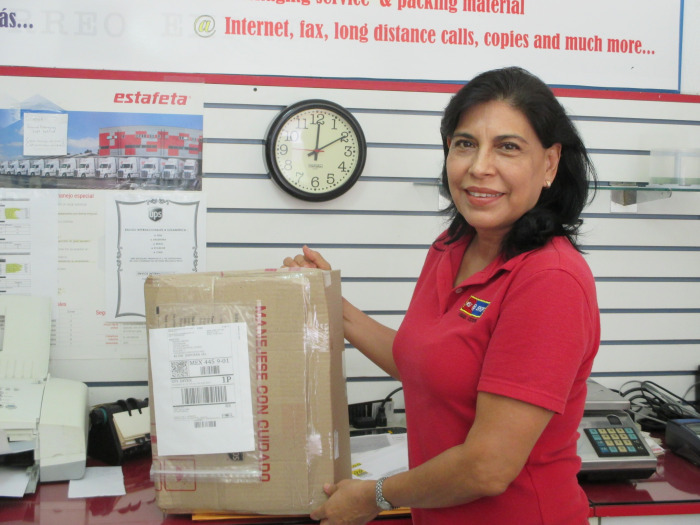 Ana Perez, began working for the company in 2002 when it was still a MailBoxes, etc. Ana is the on-site manager representing the owner in all business matters and keeping things running smoothly. She is kept very busy outside of work by her husband and two teenage children. Melva joined shortly thereafter in 2003 when the new business was born. Melva is very active in the Mazatlan community and looks forward to her annual trip to the United States to visit her daughter and grandchildren. They are both bilingual and happy to help you in English, but they are also the most patient and helpful Spanish conversationalists I have found in Mazatlán. They always smile, are incredible multi-taskers, and know all of their clients by name.